On Monday, the Associated Press reported rapper Suge Knight is suing Chris Brown in a suit related to the 2014 club shooting that resulted in Knight getting shot seven times at a party hosted by Brown. According to the lawsuit filed in Los Angeles Superior Court, Knight claims Brown, 1Oak, and singer Pia Mia (who co-hosted the party with Brown) provided inadequate security, which allegedly allowed at least one armed individual into the club during the party. 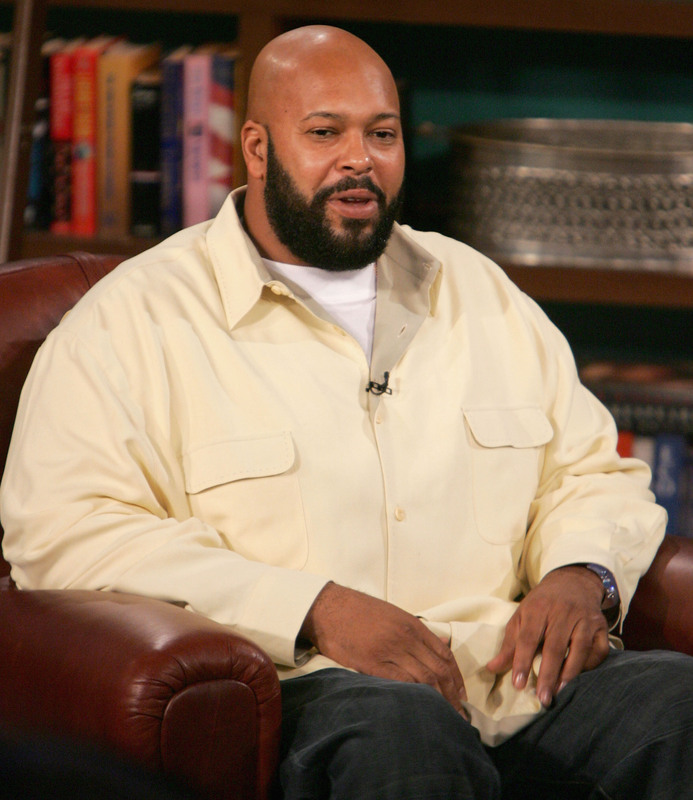 Knight survived gunshot wounds to the abdomen, chest, and left forearm, but the AP reports the former rap mogul allegedly has suffered complications from the injuries, including a blood clot. Bustle has reached out to Brown, Pia Mia, and 1Oak's reps for comment, but did not receive an immediate response. "As a result of the negligence of the defendants, one or more unknown individuals were allowed access to the event with weapons, including firearms," the lawsuit claims (via the AP). "As a foreseeable result, gunshots were fired by those admitted into the event and (Knight) was shot and seriously injured." Per the AP, the lawsuit claims 1Oak needed to take special security precautions, because Brown allegedly has a "well-documented track record of hosting events and/or parties in which violence frequently erupted." It's unclear how much Knight is seeking financially, but the AP reports a judgment has been requested ordering Brown, Mia, and 1Oak to pay past and future medical expenses for his injuries. Knight's attorneys, J. Tooson and Jeremy Lessem, also allege the shooting left Knight fearful, which in turn allegedly played a part in the fatal hit and run Knight was arrested for in January 2015. He allegedly ran over two men with his car and killed one of them. At the time of the events, Knight's lawyer, James Blatt, claimed to KABC that the rapper was "attacked by two people" before the crash occurred. According to Tooson and Lessem, the 2014 shooting caused Knight to fear for his life, which is allegedly why he ran from the 2015 accident scene. He eventually turned himself into the Los Angeles Police Department. "Mr. Knight was still extremely frail from his gunshot injuries less than five months earlier," Tooson claimed in a statement. "When the facts are finally revealed in this case, we're certain it will be apparent that our client was simply trying to flee for his life." Regarding the 2015 hit and run, Knight is currently awaiting trial with his bail set at $25 million.